Are Christians today still under the Law of Moses? What is the difference between the New Covenant and the Old Covenant? How does that difference affect our daily lives and relationship with God? 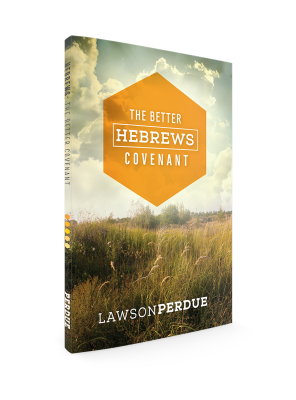 In this revelatory overview of the book of Hebrews, Pastor Lawson Perdue answers these questions and many more as he explains the fundamental truth about what makes the New Covenant better: Jesus! If you find yourself wondering how God feels about you, trying to earn His blessing, or feeling condemned about your failures, you need this book! Learn how to receive from God by faith in His amazing grace, not by striving to earn something. Jesus already did the work and secured the promises for us, now we get to experience relationship with God based on His performance, not ours!